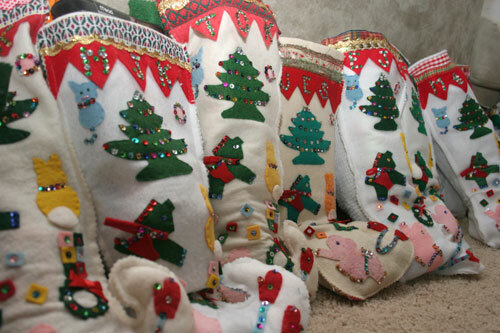 my 80 year old mom fills 24 stockings at christmas for all her children, grands, and great grands. she found this pattern in a magazine when she was a young wife. each time someone is added to our family, mom makes them a stocking and puts their initials on it in sequins.